Canadian miners are definitely sitting on a gold mine right now — the largest firms are leading the industry for exploration investments. 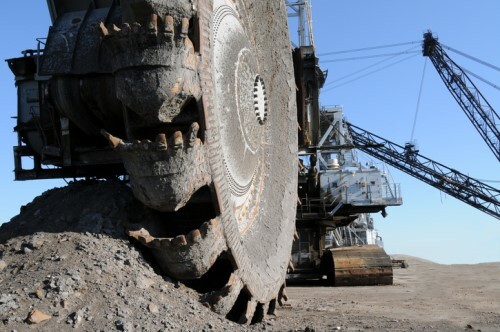 According to PwC's recent study, the industry's renewed optimism brought about by the upswing in the mining cycle has spurred a sizeable growth in exploration spending by Canadian-based firms, which was up by 31% to $620m in 2017. "The eagerness for exploration is also reflected in the 2018 rise in equity financing activity in Toronto, the location of world-leading exchanges with listings focused on early development and exploration," the study said. Canadian mining firms are also leading the pack when it comes to investing in digital innovation. Their strategy is to partner with start-ups to create programs to help improve planning efficiency and enhance safety. Utilizing technologies such as artificial intelligence, Canadian miners are taking advantage of the upswing to test the cost-saving potential of innovations. Meanwhile, Canadian miners are also unlocking value through collaboration, which allows them to trim costs, consolidate infrastructure and increase sustainability. In fact, Quebec-based miners have gained access to new financing streams by partnering with the government, private equity and capital markets. "These partnerships provide timely access to cash and connect leadership with experience from outside the mining industry," the study noted. Even Canadian mining companies with operations in the United States have also thrived, especially with the recent US tax reforms. However, the study warned Canadian companies about their engagement with other foreign governments. "But tax reforms may have a different effect for miners with operations across the Atlantic, as reports circulate that some African governments may use tax as leverage to adjust their home countries’ shares of revenues from operations. While these claims are considered unsubstantiated, Canadian companies must pay attention to how they engage with foreign governments in the areas of taxes, royalties and sharing of economic benefit," it explained. Overall, the past year has been one for the books for Canadian miners, PwC Canada national mining leader Liam Fitzgerald said. "The sector continues to prioritize digital transformation efforts, focusing on increasing efficiency, enhancing safety and mitigating cybersecurity risks. A heightened focus on innovation, technology and efficiencies shows we're moving toward the goal of creating sustainable, long-term value," Fitzgerald said.